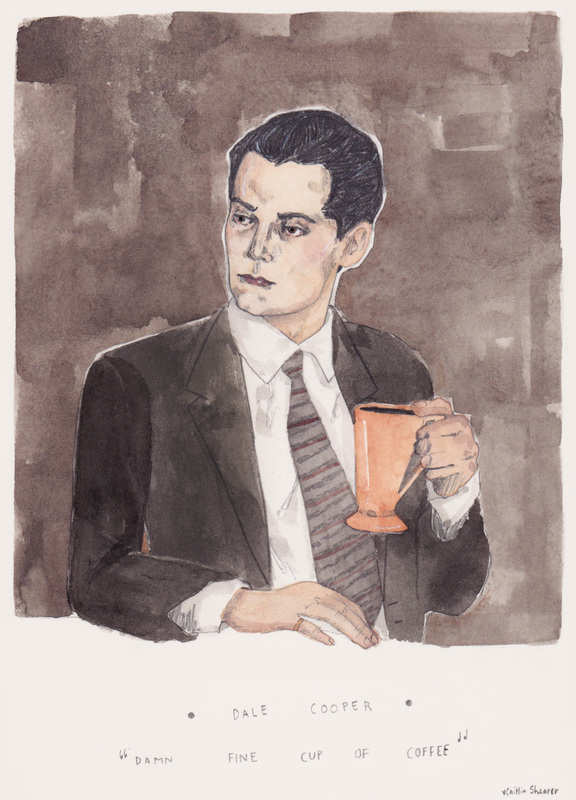 (We’re having a Twin Peaks party this weekend so the dreamiest FBI agent ever has been on my mind quite often.) There are gonna be piles of donuts, the walls are going to be be draped with metres of dark red silk and we’ve even got photos of the cast framed and arranged up on the wall like a loving family portrait. I don't like it...I love it!! We had a Twim Peaks part awhile pack, it was so fun I was Nadine but I had to take my eye patch off because I kept walking into stuff. We didn't have donuts. So yours is probably going to trump ours. So jealous! You're so talented, what an inspiration. And he's so cute, gah gah, can I have him? wow his face expression is priceless! So beautiful Caitlin! I am so due for a Twin Peaks rewatch, it has been way too long! Do two packets of haribo gummy cherries count, haha?